Oregon is a great state for gold panning. Records suggest small-scale gold panning happened throughout Oregon as far back as the early 1840s. However, it was not until gold was discovered on Josephine Creek in 1851 that Oregon panning really began. Prospectors travel to the state to this day, all hoping to mimic the success of the four Illinois panners who who made their fortune on Josephine Creek more than a century ago. Gold panning in Oregon is governed by a series of strict rules and regulations. Prospectors planning on visiting this state should familiarize themselves with the appropriate laws before their trip. At the time of this writing, Oregon has a total of 118,454 mining claims on record. Of these 118,454 recorded claims, the Bureau of Land Management lists 7,523 as active. Owners of mining claims can be territorial, so you should be careful to avoid inadvertently trespassing on an active claim. We suggest looking up where the active Oregon mining claims are located. While there is always the option of trying to acquire a mining claim of your own, those who would prefer to keep things simple are free to explore Oregon's many recreational panning sites claim-free. There are also rules for suction dredging, which is a mechanical way of extracting potentially valuable materials from water. Recent legislation has capped the issuing of suction dredging permits at 850 per year. Thankfully a suction dredging permit is not required to make use of any of Oregon's recreational panning sites. In addition, there are unwritten rules that need to be taken into consideration. It's important to show respect for Mother Nature and avoid disturbing wildlife or interfering with vegetative areas. Also be sure not to litter. There are a number of recreational gold panning spots located throughout Oregon. These recreational gold panning sites are open to members of the public and require no mining claim, which makes them a popular choice for hobbyist panners. You'll find some of the most noteworthy destinations listed and reviewed below. Gold Nugget Wayside is a collection of three small, easily missable access points in the Jackson County city of Gold Hill. Each of these access points leads prospectors to the Rogue River. The Rouge River has placer gold and it's a popular spot for recreational gold panning in southwest Oregon. More than a few lucky prospectors have reported finding placer gold throughout its waters. It should be noted that Gold Nugget Wayside really isn't intended for devoted prospectors as it prohibits large pieces of equipment. Those who visit will be limited to their hands and pans. Located in the city of Roseburg, Cow Creek Recreation Area is a popular destination for families searching for a memorable day out. Among the activities offered at Cow Creek Recreation Area are hiking, fishing, horseback riding, watersports, and picnicking. Of course, Cow Creek Recreation Area is also noteworthy for what it offers prospectors. The Creek from which the recreation area takes its name from is a sidestream of the Umpqua River, where small fragments of gold are often reported. Cow Creek Recreation Area boasts 1,300 feet of claim-free access to the Umpqua river and, consequently, the rumored riches which lie below it. The Sixes River BLM Recreational Mining Site can be found just 10 miles east of the community of Sixes and only a mile or so away from the Sixes River itself, to which it acts as a good access point. The Sixes River has long been a popular site among prospectors, largely owing to its high placer gold content. 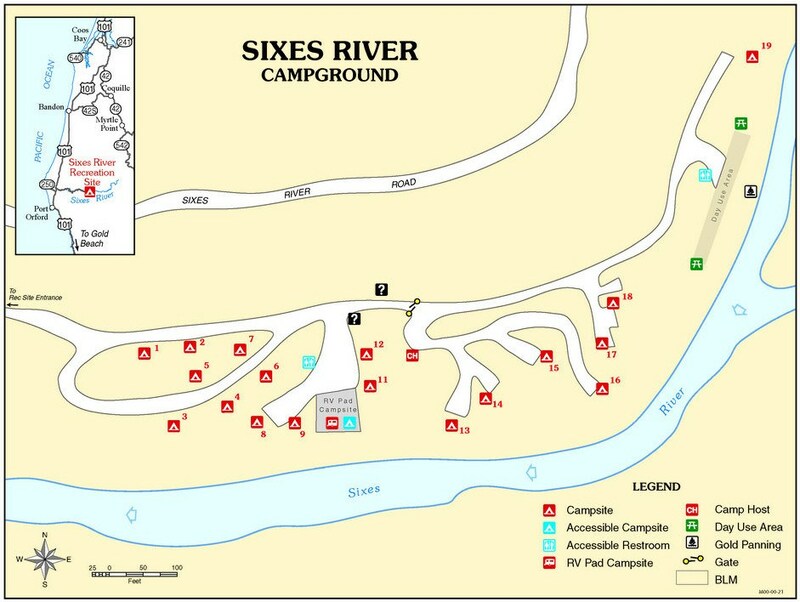 During the summer months, the Sixes River BLM Recreational Mining Site also operates as a campsite. Unsurprisingly, this has made it popular with out-of-state panners. The Little Applegate Recreation Site acts as a convenient point of access to the Applegate River. As one of the richest rivers in the entire state of Oregon, the Applegate River draws large crowds of tourists and locals alike. Access to the river is in high demand. Little Applegate Recreation Site is only one of two commercial access points to the river. 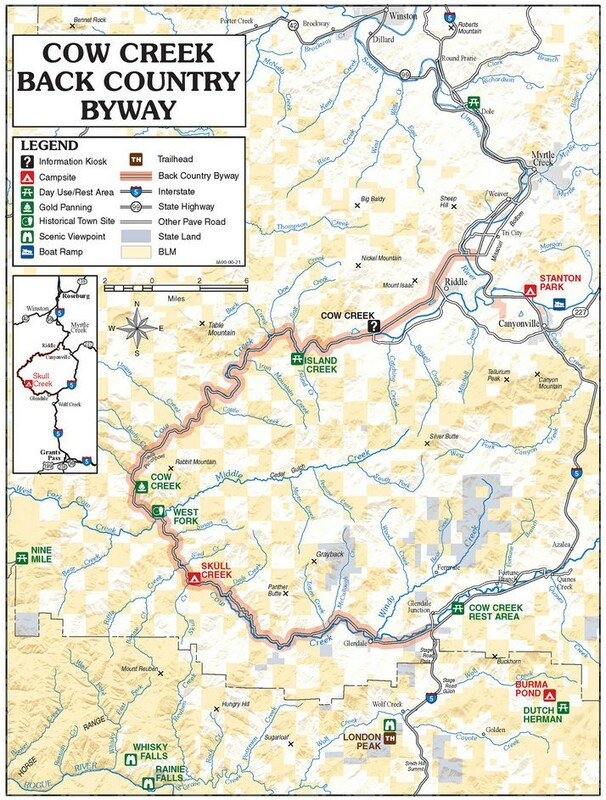 The second, Tunnel Ridge Recreation Site, is located not far from its Little Applegate alternative and offers a number of activities outside of panning. 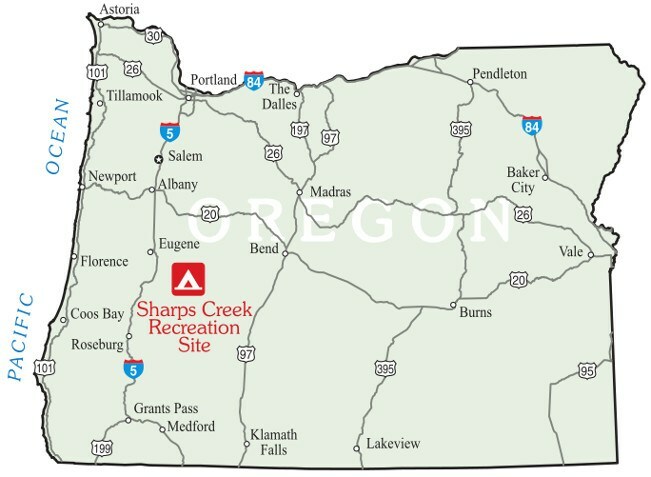 Located in Lane County, Sharps Creek is a tributary of the Row River which it joins in Culp Creek. Because Culp Creek is an unincorporated community, accessing the Row River from Sharps Creek can be a bit of a challenge. That's why those hoping to do so are advised to use the Sharps Creek Recreation Site. Sharps Creek Recreation Site holds a distinct advantage over many rival recreational mining sites as it allows for the use of specialized mining equipment as opposed to limiting prospectors to just pans. However It's important to remember that the specific equipment approved for use at Sharps Creek Recreation Site varies depending on the season. Those planning on using anything beyond basic tools should contact Sharps Creek Recreation Site prior to their visit to determine what equipment is prohibited. In addition to gold panning, Sharps Creek Recreation Site offers hiking, fishing, and camping. It's popular with both vacationers and prospectors. You can view the official brochure of Sharps Creek for more information. Oregon is rarely the first state to come to mind when somebody mentions gold panning. Most people think of neighboring California. Despite this, Oregon's panning history is as rich as its rivers, and the state experienced its very own gold rush 150 years ago. Although you shouldn't visit Oregon expecting to leave a millionaire, a prospecting vacation could be fun and rewarding. Placer gold is often retrieved from Oregon rivers, particularly the Sixes River and the Rogue River. With the potential to find placer gold, a visit to the Beaver State may well prove fruitful.